Mix on high until combined. Drop by spoonfuls and flatten slightly on cookie sheet. Bake at 350 for 10 mins. Cookies will still be very pale. Cool completely. 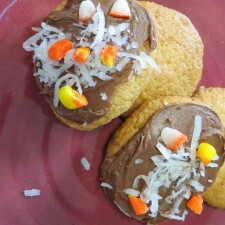 Spread the chocolate frosting on the top of your sugar cookie. Sprinkle shredded coconut on top of the frosting. 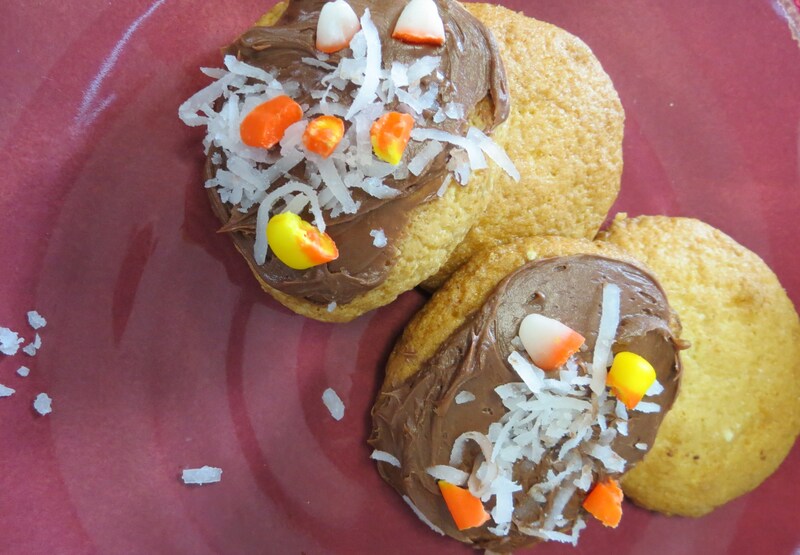 Break apart the candy corn and place the pieces on your cookie. 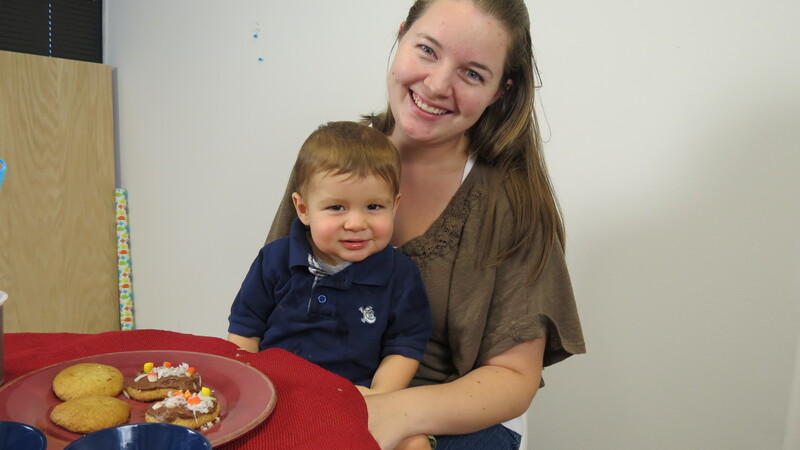 Jodi, so glad you love the cookies! 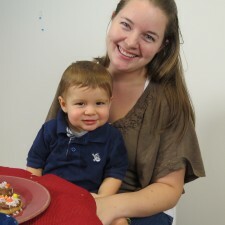 They were tons of fun to make with Aidan!